You’re like the Pied Piper (not the creepy version!). You adore kids, and they seem to respond positively to that, like saplings to the sunlight. You can’t think of a better way to spend your life than helping to shape the minds of the very young. People probably tell you this all the time but, you should consider an early childhood education career. 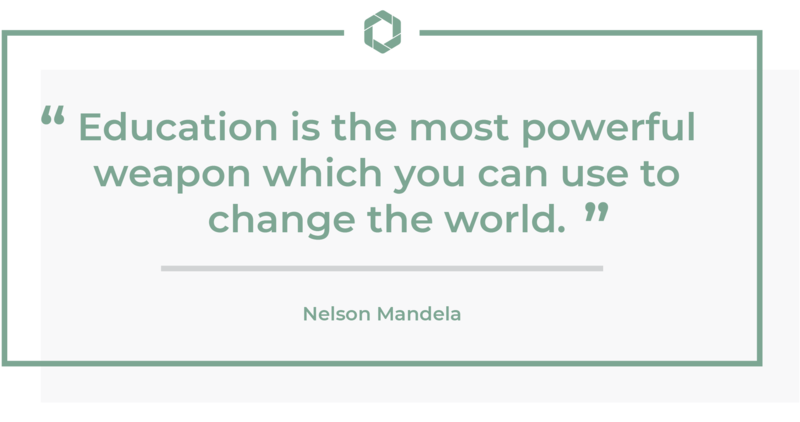 Find the perfect education program. Early childhood focuses on the education from birth through preschool. Preschool teachers work with young children, teaching them in a way that is relatable and understandable to the under five-year-olds. Because the little ones are always learning through play, ECE teachers know how to use that to their educational advantage. Blocks turn into buildable math problems, and the sandbox becomes a place for social skills. For an Early Childhood Educator, no moment of classroom time is without some sort of teachable moment, whether it’s basic academic, social, or even taking a troubled moment and turning it into a lesson on positivity. ECEs need to also look out for signs of emotional or developmental delays and issues so that they can be relayed to the parents or guardians of the child. Working with kids is really all fun and games. Well, it’s supposed to appear that way because, for little ones, all work and no play would be dull, and you wouldn’t be able to keep them engaged. These little minds are at the most active that they’ll ever be for the rest of their lives. But, all students need structure, even the itty bitty ones. It’s up to you, the certified early childhood educator, to keep those young brains active and soaking in the information you’ll be giving them. Keeping law and order: You’d think that wouldn’t be as big a task as it is, but little kids come with enormous chaos. Performance evaluator: You’re not going to be a judge on the Voice. However, you’ll be evaluating your student’s academic, social, and emotional progress and sharing that information with parents and others invested in the academic fortitude of the student. The Developer of Plans: Lesson plans, that is. Teachers have to schedule out their lessons, either by day or week, whatever the school administration requires of their teaching staff. Prepper: Typically it’s part of the duty of an early childhood educator to prepare little tykes to move up to kindergarten. Aside from being one of the major components to the shaping of young Einsteins, there is a multitude of other benefits. If you’re a parent of young children, then your children can probably attend the school you teach at either for free or at a discounted rate. Teaching little children is not a permanent desk job, that’s for sure. So, you can be sure you’ll be getting all your daily steps in, and then some. As a teacher, you’ll get the same vacations your students. You’ll get spring, summer, winter breaks off, along with any other holidays that school isn’t in session. Every day is new, undiscovered territory. In other words, as an ECE teacher, you’ll never relive the same day twice. Sure, you love kids and look forward to a lifelong career of teaching them. But, it takes a bit more than just the desire to teach to be a great early childhood education teacher. You’ll need to be jam-packed with some other qualities to keep up with your little students. Communication: As an educator, you’re going to be talking incessantly throughout the day. You’ll be communicating with your students, administration, and parents. You need to be able to clearly articulate to each group through verbal and written form. Also, listening skills fall into this group. Creativity: For the young ones to learn, the lessons need to be brought to them by crayons, colored paper, and other fun materials. The more age-appropriately creative the lesson, the better the fledgling minds will learn. Patience: Working with young children requires superhuman sized patience. They are little bouncing balls of energy that often need to be redirected. If you’re not a particularly patient person, you’ll find that working with those tiny tykes is exceptionally exhausting. Organized: A lot of work goes into teaching, from keeping a daily lesson plan to the day-to-day schedule of the class activities. Not to mention, knowing each child, their personalities, and how to work with each one effectively. Stamina: Little kids come crammed with huge amounts of natural energy (and they don’t have to drink coffee yet!). And, chances are, you’ll have quite a few of these power-charged children running around your classroom. To keep up with them, you’ll need to have the physical and mental stamina and energy of electrical power plant. Before enrolling in any Early Childhood Education program, you need to graduate high school or obtain your GED. Get your high school diploma because this is the number one prerequisite to getting your diploma or degree. Colleges and universities usually won’t accept applicants who haven’t graduated high school or obtained their GED. Gain experience working with young kids at nursery schools, summer camps, or anywhere little people are sure to go. The more work experience you get, the better prepared you are. Earn your degree: Depending on your career goals or whether you want to work in a public or private preschool will determine the sort of Early Childhood Education degree you’ll need. Most public school programs such as Head Start require their ECEs to hold an associate’s degree in teaching, along with an ECE certification. Although, many programs prefer their teachers to have bachelor’s degrees. The higher your degree, the better job prospects you’ll have. Certifications: There are a couple of certifications available to Early Childhood Educators. Public schools require their educators to be licensed, even on the preschool level. Every state has their own set of rules and regulations. 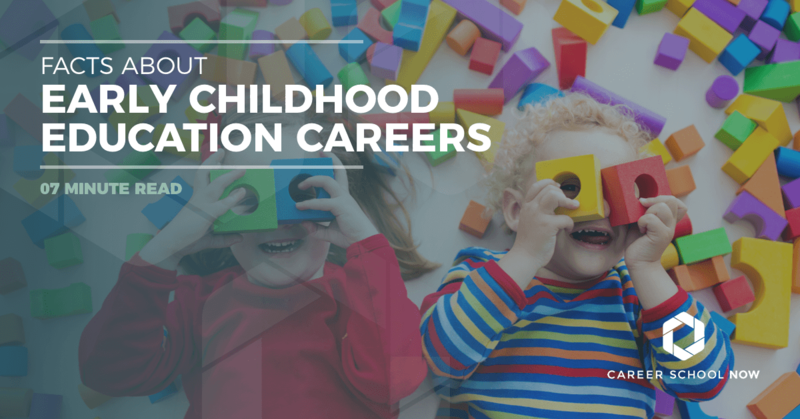 Most childcare centers will hire preschool teachers that have graduated high school and have an Early Childhood Education teaching certificate or diploma. Most states do require their educators to maintain their teaching license through continuing education courses. Another career condition that varies by state is the amount of childcare setting field experience necessary. Council For Professional Recognition offers the Childhood Development Associate credential. To be eligible, you must take the required courses, have work experience in the field of ECE, take a written exam, and pass a work observation. The CDA is valid for three years and must be renewed. National Early Childhood Program Accreditation is specifically for early childhood educators is the Certified Childcare Professional (CCP). This is a nationally recognized certification but is acknowledged in a few states as an approved Director or Teacher credential. To be suitable for this certification, you must be 18, have a high school diploma, have related work experience, take early childhood education classes, and pass the exam. This certification needs to be renewed every two years. Important side note: Teachers must maintain a CPR and life-saving certification. There are also required memberships depending on if you’re working in public or private schools. And, there are professional development programs that must be attended to keep your licensing active. Those programs are usually scheduled by the school you’ll be working at. The job outlook for teachers varies by state making the average around 10 percent. Because the population is expected to remain consistent, the number of preschool-aged kids will stay around average or a slight increase. Early Childhood Educators who hold higher levels of degrees will have better job prospects than those who hold a certificate only. Also, the more experience working with children, the better. Preschool teachers work during school hours. Sometimes they need to arrive early and stay late, depending on if they have to meet with students, parents, or other teaching staff. Teachers work ten months out of the year and can opt to be paid on a full year schedule or just the months worked. Daycare teachers may work longer hours and throughout the entire year. The median annual salary for preschool early childhood teachers is $28,790. The top 10 percent of ECE teachers earn $54K on average. And, entry-level early childhood educators make under $20K annually.